The old King. George Rouault, French, 1871. Collection Carnegie Institute, Pittsburgh. 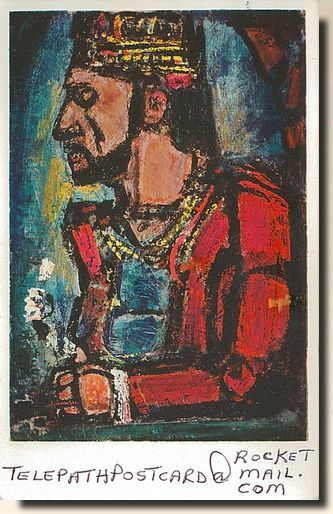 Georges Henri Rouault (27 May 1871 - 13 February 1958) was a French Fauvist and Expressionist painter, and printmaker in lithography and etching.